Alive with rich South American spirit, Managua is the capital city of Nicaragua. The 2.2 million residents know that the beauty of this city lays off the beaten track and in its natural splendour. Managua is fast becoming a “must-see” destination for hiking, surfing and adventure. Tourist attractions include Somota Canyon, Old Cathedral of Managua and Montelimar Beach. Get ready for a tropical adventure because cheap fights to Managua are now available for a limited period of time! Managua is home to Augusto C. Sandino International Airport (MGA), located just 21 minutes from the city centre. See the untouched beauty of Managua at the Chocoyero El-Brujo National Park. 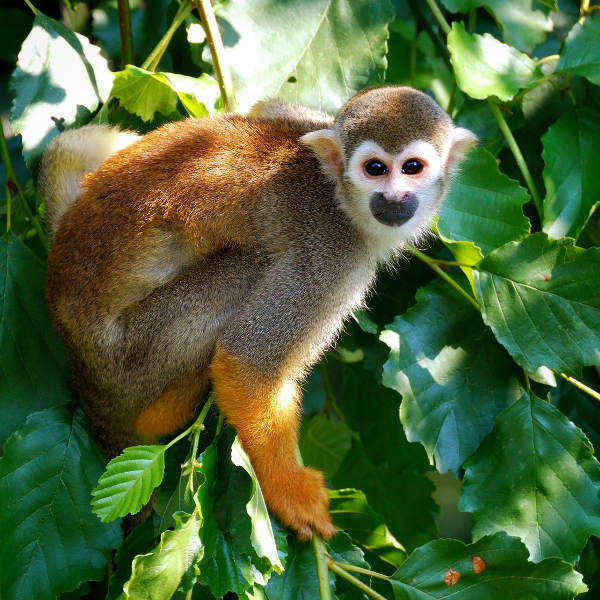 Spot monkeys, birds and numerous waterfalls and rivers along the way. Just outside the city is the active volcano of Masaya. 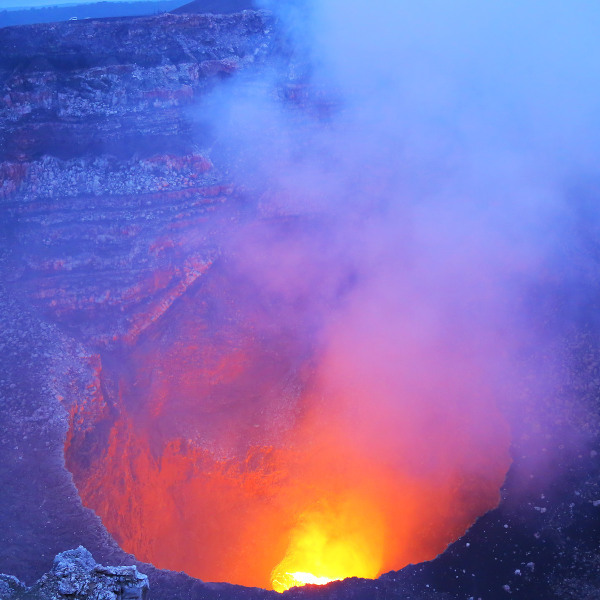 With a guide, stand on the edge of the crater and marvel at what lay below. After a day of exploring, unwind to traditional folk music and enjoy some local cuisine, at the Puerto Salvador Allende waterfront. The fried rice and fish soup are a must-try. Managua has a typically tropical climate with two seasons – wet and dry. The temperatures in the city are typically quite hot, so no matter when you decide to go, pack light. The rainy, wet season falls between May and October, but it is still very possible to enjoy the country’s beautiful attractions during this time. Just make sure you always have your lightweight rain jacket with you. Peak tourist season falls over summer (December to February) and winter (June to August), as this is when most people take leave, and therefore travel. If you wish to skip the crowds and expensive costs of flights and accommodation, consider booking your trip to Managua between March to May, and October to November. Over the last few years, more and more people are opting to visit Managua and Nicaragua above other destinations, such as Costa Rica and the Galapagos Islands. There is something spectacular about the untouched landscapes and simplicity of life in the city that always brings visitors back for more. In Managua, the city is often used as a base camp for all the off-track adventures the surrounding areas have to offer. The city was left in complete ruins after the 1972 earthquake, and around the city you can find remnants of this event, such as the old cathedral located just 2.5 km from the city centre. For a step into the jungle, make sure your trip involves visiting Chocoyero El-Brujo National Park. Here, lose yourself in the sights and sounds of this tropical paradise. 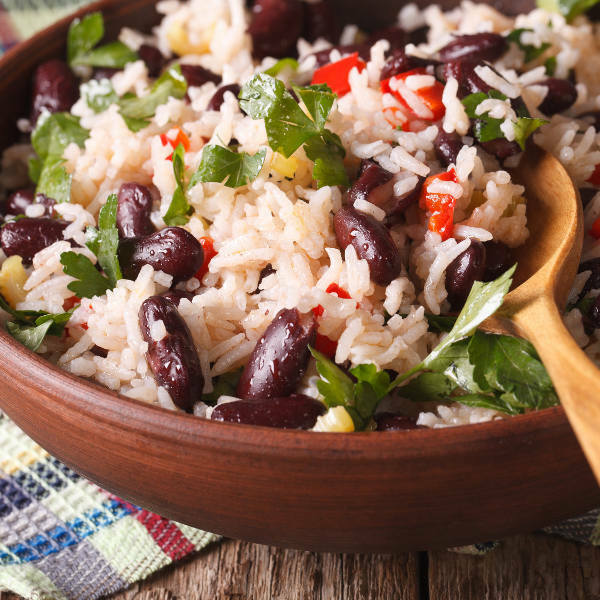 Built especially with tourists in mind, the waterfront boulevard that overlooks Lake Managua is a great location to just relax and taste some dishes from the region, such as gallo pinto (fried rice, vegetable and beans). Compare several airlines and book cheap flights to Managua online with Travelstart! Managua is a safe city for tourists to visit, even though it is quite remote. The residents of the city are very welcoming and friendly, though not many speak any English. As a precaution though, keep your personal belongings and expensive items out of sight, and don’t travel with large amounts of cash. It is always important to have your vaccines up to date when you are travelling. When visiting Nicaragua, it is recommended to get a vaccination for hepatitis A, as you will most likely be eating food that is unfamiliar. You should get a shot for typhoid if you’ll be doing any trips to smaller, more rural areas of the country. Other vaccines that are recommended are hepatitis B, malaria and rabies.